The nine schools that make up Emory University have big plans for the new semester, as they welcome new faculty, debut new courses and host a diverse slate of speakers, programs and conferences. Here's a roundup of what's new and noteworthy, as listed by each school. Visiting faculty: Distinguished Visiting Professor of Theology Kwok Pui Lan continues her year at Candler, teaching courses including “Feminist Theologies from the Global South” and “Spirituality for the Contemporary World.” Kwok’s research focuses on Asian feminist theology and postcolonial theology. David F. Ford, Regius Professor of Divinity Emeritus, University of Cambridge, is the 2018 distinguished visiting professor in the Alonzo L. McDonald Family Chair on the Life and Teachings of Jesus and Their Impact on Culture. He will present public lectures on April 11 (“Jesus in the Twenty-first Century”) and April 18 (“Reconciliation in the Twenty-first Century”). Noteworthy events: On Feb. 17, the Leadership and Multifaith Program (LAMP), a partnership between Candler and Georgia Tech, will host a symposium on “Religious and Scientific Perspectives on the Future of Life.” Details. On April 5, Candler will host acclaimed intellectual, feminist theorist, cultural critic, artist and writer bell hooks for an evening lecture. “Leading the Liberal Arts and Sciences”: The Emory College Faculty Senate and University Provost Dwight McBride have endorsed the Emory College of Arts and Sciences strategic plan, “Leading the Liberal Arts & Sciences: Emory College’s Strategic Priorities.” The full plan and additional information on the strategic planning process can be found on the Emory College Strategic Planning website. Faculty and administrators, working collaboratively for the past two years, developed the strategic priorities and initiatives. The plan pushes forward the College’s liberal arts and sciences leadership within a major research university with a strong focus on faculty support and development, an exceptional student experience, and targeted research areas in the arts, humanities and the social and natural sciences that have high potential for broad impact. Class of 2022: The incoming first-year class is taking shape with a record number of applications for the first round of Early Decision admissions to Emory College. In December, 503 students were offered admission to Emory College, including 30 outstanding students from the QuestBridge National College Match program to its Class of 2022. The deadline for Early Decision II and Regular Decision applications was Jan. 1 and overall applications are expected to exceed last year’s record number of applications. The admitted QuestBridge Scholars cohort is three times the typical yearly match with the national non-profit that links highly qualified, low-income students with a four-year award that covers full tuition and fees to some of the nation's best colleges. The QuestBridge Scholars admitted to Emory College are among just 916 QuestBridge students nationwide. New faculty: Four new faculty members join Emory College this semester. They include Valerie Babb, who will be the Andrew W. Mellon Professor of Humanities and joins the departments of African American Studies and English; Nicole Vega, assistant professor in biology; Carolyn Keogh, lecturer in environmental sciences; and Natalia Bueno, assistant professor in political science. Annual event: The 2018 Undergraduate Business School Leadership Conference is set to take place Feb. 15-17 at Emory University. The UBSLC is a student-run international conference held annually at Goizueta Business School, with over 60 students from around the world. The UBSLC provides a forum for top undergraduate business students to meet with leading business executives, cultivate meaningful connections and unify under a common theme designed to help them become more effective leaders and professionals. This year’s conference will feature keynote speaker Steve Sear, international and executive vice president of global sales for Delta Air Lines. Bobby Jones Legacy Golf Tournament: Organized by the Laney Graduate School in partnership with the renowned East Lake Golf Club, the second annual Bobby Jones Legacy Golf Tournament is a fundraiser that celebrates the legendary golfer Bobby Jones, whose legacy of friendship, integrity and leadership lives on at Emory. Proceeds will support the Bobby Jones Program, a robust exchange program of scholars and fellows, an ethics program that prepares graduate students for responsible leadership, and fellowships in biomedical engineering that advance the future of health care today. Registration is now open for interested participants. CIRTL courses: The Center for the Integration of Research, Teaching and Learning (CIRTL), of which Emory is a member, has announced spring 2018 opportunities, including MOOCs and cross-network courses. 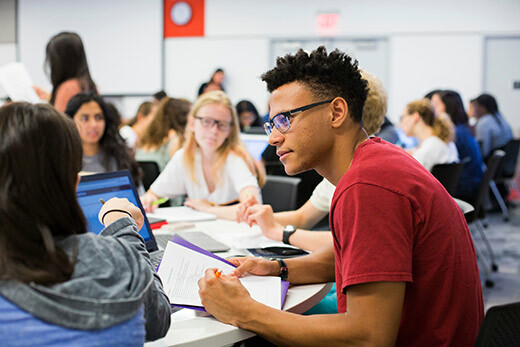 Courses such as Diversity in the College Classroom; Getting Ready to Teach in the American Classroom: Cross-Cultural Analysis; Advanced Evidence-based Undergraduate STEM Teaching and more are now open for registration. Annual competition: The Three-Minute Thesis or 3MT is an academic competition developed by the University of Queensland, Australia. The Laney Graduate School 3MT competition serves as a skills development program that challenges students to explain their research project either through verbal communication (in three minutes or less) or by written abstract (350 words or less). Both competitions are judged by a panel comprised of a diverse group of professionals (academic and non-academic) with a wide range of professional expertise. 3MT finals will take place in spring 2018, dates forthcoming. Student honors: Students in the Accelerated BSN Program achieved a 100 percent pass rate on the NCLEX last fall. Faculty honors: Assistant Professor Canhua Xiao became the first Emory nursing faculty member to receive the Protege Award from the Friends of the National Institute for Nursing Research. The March of Dimes of Georgia honored several Emory faculty with Nurse of the Year Awards, including Erin Ferranti (Community Health Award winner), Jennifer Adamski (Critical Care Award winner) and Janice Withycombe (Pediatric Award winner). Emory Healthcare and the Nell Hodgson Woodruff School of Nursing also received the organization’s Legacy Award for its leadership in maternal and infant health. Cool courses: Beginning at the end of January, Emory University's School of Nursing will offer a new massive open online course (MOOC) on Coursera called Reproducible Templates for Analysis and Dissemination. This course, which is taught by Dr. Melinda Higgins, will cover the steps and resources necessary to set up the software and tools to build your own templates and utilize existing templates for reproducible data analysis, dynamic documentation, presentation and dissemination. Leadership: Sandra Dunbar has been promoted to senior associate dean for academic advancement. Kristy Martyn is assuming the role of interim associate dean for undergraduate education. Deborah Watkins Bruner is the new assistant dean for faculty mentoring and advancement. Higher-education leaders on campus: Oxford will host two well-known thought leaders of higher education for special presentations. On Jan. 17, Beverly Daniel Tatum, former president of Spelman College and author of the widely acclaimed book “Why Are All the Black Kids Sitting Together in the Cafeteria?” will give the keynote address at Oxford’s annual service in honor of Martin Luther King Jr. On Feb. 20, Elizabeth Kiss, president of Agnes Scott College, will speak to Oxford students; following the address, Dean Doug Hicks will join her in a dialogue on leadership. Pierce Hall reopens: Following a one-year renovation, Pierce Hall will reopen for spring-semester classes. Built in 1962 as science classrooms and laboratories, the repurposed building has been transformed into a sleek, contemporary space with classrooms, art studios, writing and math centers, collaborative work space and faculty offices. Phi Gamma Hall renovation: Phi Gamma Hall, built in 1851 and Emory University’s oldest academic building, will undergo renovation during spring semester. The project, which will not change the historic structure’s footprint, will add auxiliary space and make Phi Gamma Hall accessible for all abilities. Research: Rollins, along with the University of Houston Graduate College of Social Work and the Southern AIDS Coalition, have been selected by Gilead Sciences Inc. as coordinating centers for their new COMPASS Initiative (COMmitment to Partnership in Addressing HIV/AIDS in the Southern States). COMPASS is a 10-year, $100 million initiative to combat HIV/AIDS in the Southern United States. Contributing Rollins faculty include Patrick Sullivan and Aaron Siegler. The newly established Center for Reproductive Health Research in the Southeast (RISE) has received $6.8 million in funding for the next three years. RISE aims to build an evidence base and implement solutions for adverse reproductive health outcomes and disparities impacting women and their families in the southeastern United States. Kelli Hall directs the center. Faculty: Robert F. Breiman, director of the Emory Global Health Institute and professor in Emory's Rollins School of Public Health, has been elected to the National Academy of Medicine’s 2017 class of leading health scientists and international members. Philanthropy: The Rollins Foundation has endowed the Stephen D. Clements Jr. Chair in Cardiovascular Disease Prevention. Named for Emory cardiologist and school of medicine faculty member Stephen Clements, the new chair will reside in the Department of Epidemiology. New online format for LLM program: Emory Law is now making its master of laws (LLM) degree available in an online study format for two of its concentrations: health care law, policy and regulation; and business law and regulation. Applications are now being accepted for fall 2018 enrollment. Select faculty honors: Dorothy Brown, professor of law, has been named a co-recipient of the 2018 Clyde Ferguson Award by the Executive Committee of the Association of American Law Schools Section on Minority Groups. The selection committee cited her part, along with her co-recipient Professor Guy Charles (Duke Law), in helping to create and build the Jerome Culp Colloquium, which provides aspiring law professors with crucial guidance and mentorship at all stages of the appointments process and throughout the initial stages of their careers as they prepare for the tenure review. The AALS Section on Election Law has selected “Gerrymandering and the Constitutional Norm Against Government Partisanship” by Michael S. Kang, Thomas Simmons Professor of Law and associated faculty, political science department, as the Best Election Law Paper of 2017. Upcoming events: Sonia Sotomayor, associate justice of the Supreme Court of the United States, will speak in discussion with Fred Smith, associate professor of law, on Feb. 6 in Glenn Memorial Auditorium. Tickets are required. The 2018 Randolph W. Thrower Symposium will be Feb. 1 in Tull Auditorium. Judge Rosemary Barkett, Iran-United States Claims Tribunal, will give the annual David J. Bederman Lecture, presented by the Center for International and Comparative Law, on Feb. 19 in Room G575 and Tull Auditorium. Leadership: Emory University has appointed Vikas Sukhatme, MD, ScD, a distinguished physician-scientist, as dean of Emory University School of Medicine. He also will serve as the chief academic officer for Emory Healthcare and as Woodruff Professor. After a year of outstanding leadership, David Stephens has returned to his position as chair of the Department of Medicine. Lucky Jain, MD, MBA, has been named chair of the Department of Pediatrics; chief academic officer of Children’s Healthcare of Atlanta; and executive director of Emory + Children’s Pediatric Institute. Ted Brzinski took over as program director of the Medical Imaging program, replacing Dawn Moore, who returned to a faculty position after serving as director for more than 20 years. Kathryn Glas is interim chair of the Department of Anesthesiology. The National Academy of Medicine has elected Allan Levey and Robert Breiman to its 2017 class of leading health scientists and international members. Programs: Led by Yolanda Hood and the Office of Multicultural Student affairs, the MedPrep at Emory program will kick off in 2018. This eight-week residential program is open to undergraduate and graduate students interested in applying to medical school and is designed to enhance skills and increase competitiveness of underrepresented students in medical school admissions. In its second year, the Emory Pipeline Collaborative, a three-year program of learning, mentoring, college preparation and health careers exposure activities for high school students, graduated 16 seniors and hosted 54 rising juniors and seniors from Atlanta Public High Schools for a six-week residential program. New residency track: The Office of GME launched a new residency track in quality improvement and patient safety.